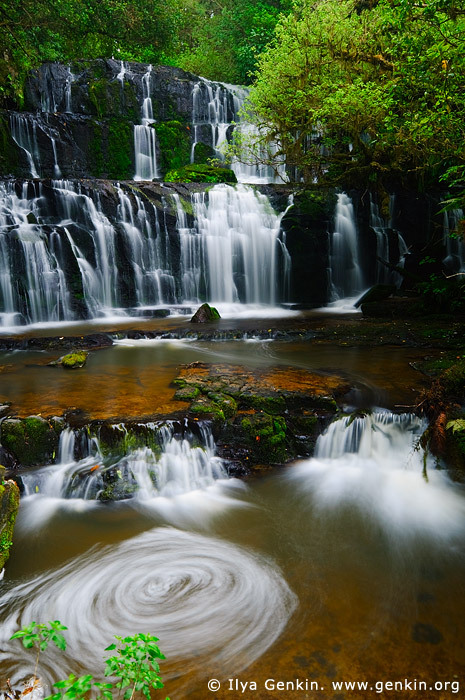 There have been many pictures taken of the Purakaunui Falls at Catlins, along the Southern Scenic Route in Otago, New Zealand, over the years and they are now considered to be the most photographed waterfalls on the South and North Islands of New Zealand. This image id NZ-PURAKAUNUI-FALLS-0002 of Purakaunui Falls, is copyrighted © by Ilya Genkin. This is not a public domain image.